Sowelstace Financial Review - One More Scam Exposed With Proofs! Sowelstace Financial Review – One More Scam Exposed With Proofs! This is our review on the Sowelstace Financial software. 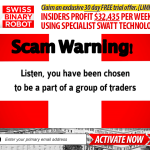 As we usher in the New Year, it seems a flood of scam software and trading robots has also arrived. Sowelstace Financial is the latest of scams to hit the financial markets. After analyzing the contents of its website and also the sales video, we are convinced that you should stay away from it. The whole campaign is rigged to defraud you. At first, we tried hard to understand what is it that makes Sowelstace Financial so successful. Hearing out the video again and researching through the website did not yield any results. The whole video is filled with drama and misleading information. We will point out shortly what we found in our in-depth of the Sowelstace Financial review. The whole idea of automated trading in binary options has gained enormous popularity of late. But, it has been misused by shady investors and brokers beyond words. The scammers try to project auto trading as nothing short of some magic. Without moving a finger, you’d earn large sums of money daily is what you are repeatedly told. We see the same in the case of Sowelstace Financial. The software is said to be able to make a minimum of $1,500 per day for a beginner. For experienced traders, more than $8,000 per day is also allegedly achievable. On an average, a sum over $25,000 can be made monthly, even they are to be trusted. According to the pitch video, the Sowelstace Financial is a fully automated system. Jimmy Reese who allegedly happens to be its co-creator, tells how this system is unique in many ways. Although, we did not find any single thing which could be called ‘unique’ in the whole offering, still let us see. Ryan Moore, the company’s CTO worked with Jimmy at a New York’s Investment Firm. Ryan tells how the software makes money even when you are not trading. This has been highlighted as one of the ‘unique’ features we alluded to before. This is simply nonsense and means that while you are offline your account deposit is used by the scammers without your knowledge. Also check my Penny Millionaire Review. Our experienced eyes have identified many things which made us cry foul. We could not find any proofs to justify the claims of the software creators. While performing our checks what we stumbled upon instead were proofs that this software is a scam. We noticed that the interface of this Sowelstace Financial scam software had an uncanny resemblance to the Royce Code scam software. We know this since we reviewed the Royce Code some time ago too. Just a couple of color changes here and there and the scammers resurfaced under a new banner! Always keep your eyes open and never trust any statement as it is. Who are Jimmy and Ryan? The so-called creators of the software, Jimmy and Ryan are doubtful characters. We wonder how come we did not come across any mention of them anywhere ever. You may be new to financial markets and Binary Options trading but, we are not. We searched the internet to ascertain the credentials of the two gentlemen, but nothing could be found. Even on social media or websites like LinkedIn, there is no trace of Jimmy or Ryan. It’s not too much to seek the social profiles of two rich and ‘great’ raking in millions of dollars, isn’t it? In all good chance, the people you see in the video of Sowelstace Financial Scam are paid actors. A company which has been turning fortunes of people for some years now needs to have an office at least. But, all we get to see is a show of Jimmy’s Lamborghini, house and Karen’s new BMW. 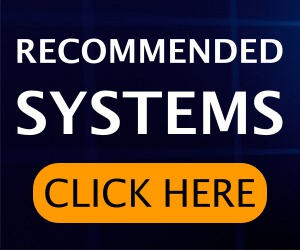 The website prominently displays testimonials of four people on its homepage. As is customary for us to find out, we investigated whether or not they were genuine ones or not. Our efforts bore fruits very quickly as we found the testifiers to be fake. The profile pictures we see of them, are fake nd have been lifted from Stock image websites. 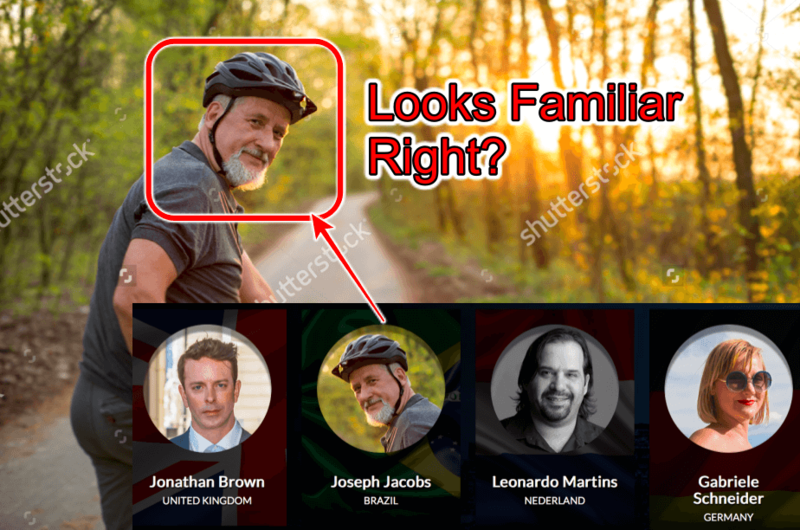 You can find the same man riding the bicycle, featuring on many other websites with the same pose. The website of Sowelstace Financial itself came up by the end of 2016. We are shown screenshots of the earnings this software has managed to pile up over the years. Some statements that are shown date back to as early as 2013. How can it be possible? Is It Really Available For Free? Time and again we see the same marketing strategy of scammers. They always scream “Free Free” and try to attract people who think that it’s worth a try since it wouldn’t cost them anything. We have explained numerous times through our reviews how this is a plot and nothing more. How is the software free when at a later stage you are investing your money in it? Either you hand out the money to buy something immediately or do it after 5 minutes of signing up in the name of ‘funding’ your account. It does not make any difference. It is better to wait to see the day when the software would cease to be free as Jimmy says ad would cost over $2,500 per license. We are sure that day would never come. The scammers just want you to hand over $250 to them on the context of funding your trading account. You would not find your money in the safe custody of a regulated and licensed broker. These scams are floated by shady brokers in collusion with the people behind fake trading platforms. Verdict – Sowelstace Financial Is 100% Scam. It is just the starting of 2017, and you must have made some resolutions and plans for this year. We want you to be careful while taking your financial decisions especially if they are related to Binary options trading. 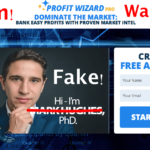 The market is brimming with new scam software which evolve from older scams. In the event you feel suspicious, please feel free to report them to us. We would try to take those findings to a wider audience. Until the time you are certain you’ve found something genuine, stay away from Sowelstace Financial software. 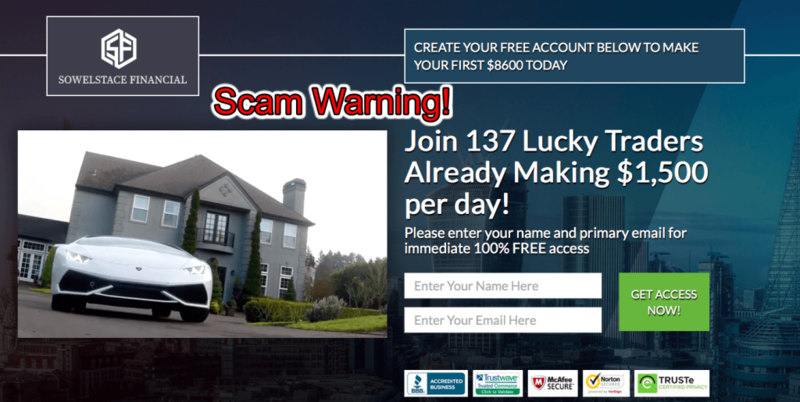 Wall Street Trading Software Is Confirmed Scam – Our Experience!! 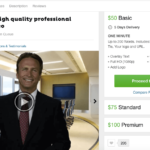 Leaked Profits Review – Avoid This Scam Software! 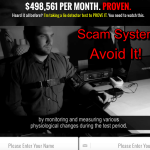 Prove My Profits Review – Confirmed Scam Software! Stay Away! 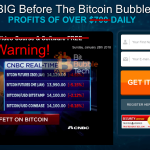 Bit Bubble Tech Is Another Scam – Don’t Trust Fake Reviews!